I once worked at a terrible job. Everyone has days when we don’t want to go to work. I had months of days I didn’t want to go to work. I used more sick days in those few months than I did in 4 years of my last full time job. And I was legitimately sick. It just didn’t take much to weaken me to the point that I wouldn’t be able to handle a full day. Working from home helped sometimes, but those days were extremely rare and highly monitored. It was generally too much work to get approved to work from home. The best part of this job were my colleagues. I like to describe our bond as similar to those forged during initiation into a fraternity or sorority. We understood what we were all going through and helped each other out. When the boss would dig into one of us in a meeting, someone else would take over most of the talking for the rest of the meeting while the first one recovered. We’d go to lunch together once in awhile to escape and commiserate. One of the girls would bring in these treats sometimes and we would destroy the entire pan by mid-afternoon. They would be the clear highlight of the day. I count these as the second best thing to come out of that job! They taste like the holidays. Like pumpkin pie, but even better. This dessert is way healthier than pumpkin pie. These are even gluten free. 1. Make your sweet potato puree: either bake the potato in a 400 degree oven for 1 hour; microwave for 4 minutes, flip and microwave for 4 more; or peel, dice, and boil in salted water. 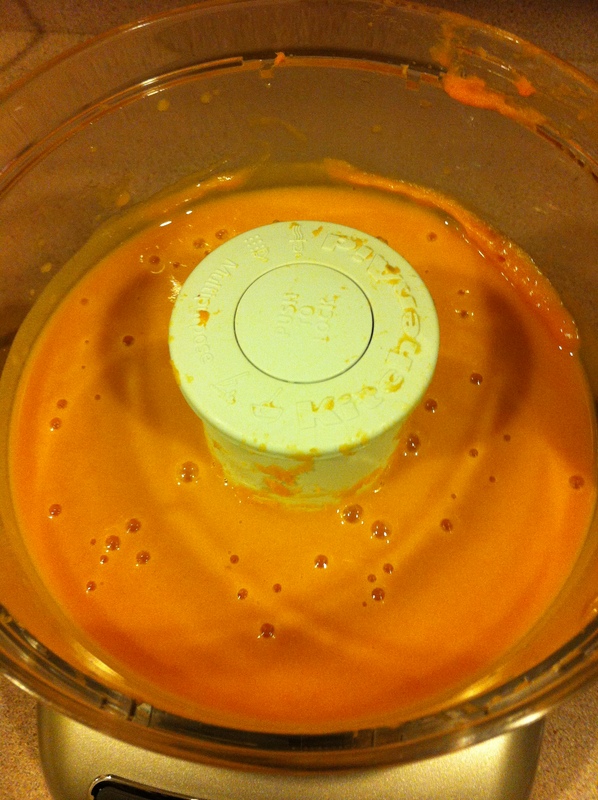 Allow the potato to cool and then puree with a food processor. 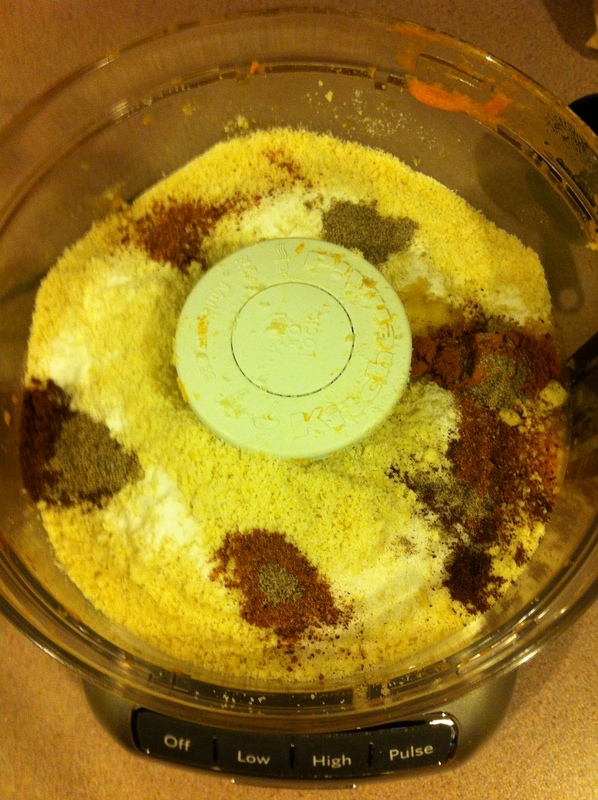 If you don’t have a food processor, mash with a potato masher or a hand mixer. 2. Preheat oven to 350 degrees. Grease a 9x13in baking dish. 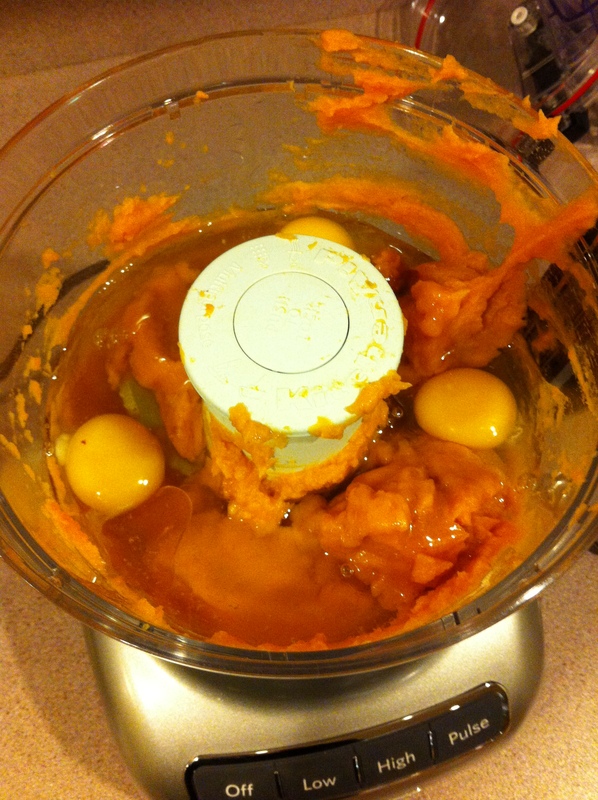 Combine sweet potato, honey, and eggs in a food processor or mixer (or in a bowl by hand). 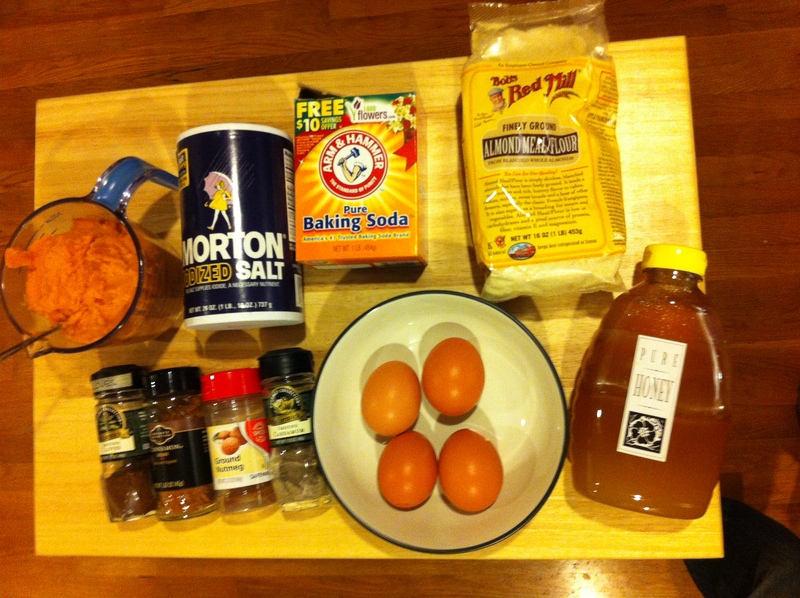 Add the rest of the dry ingredients except chocolate chips and stir until combined. 3. Pour the batter into the prepared pan and smooth out evenly. 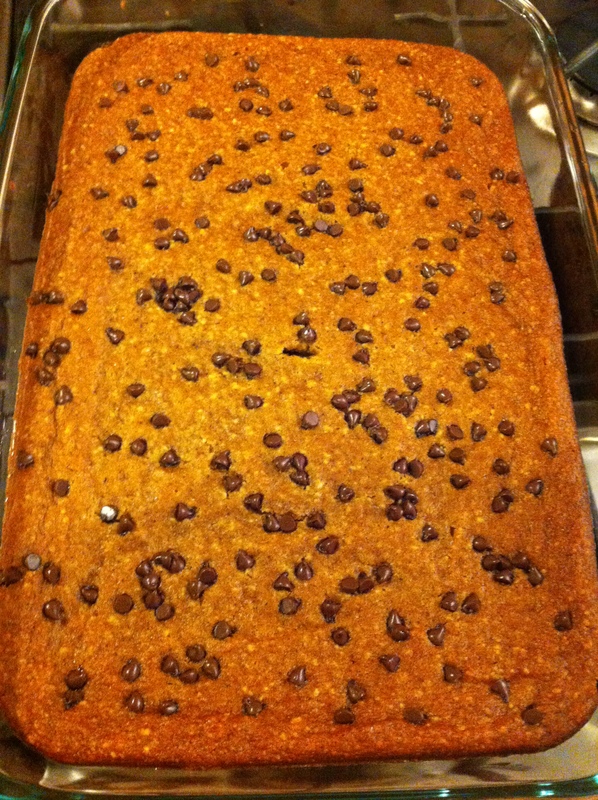 Sprinkle the chocolate chips over the mixture and bake for 30-35 minutes. There is a happy ending to the story of the terrible job! All of my colleagues and I have managed to leave. A few of us live close to each other and still get together to hang out and enjoy the best thing that came out of this experience. And these bars are still delicious even if you aren’t in a terrible job. What an interesting combination. 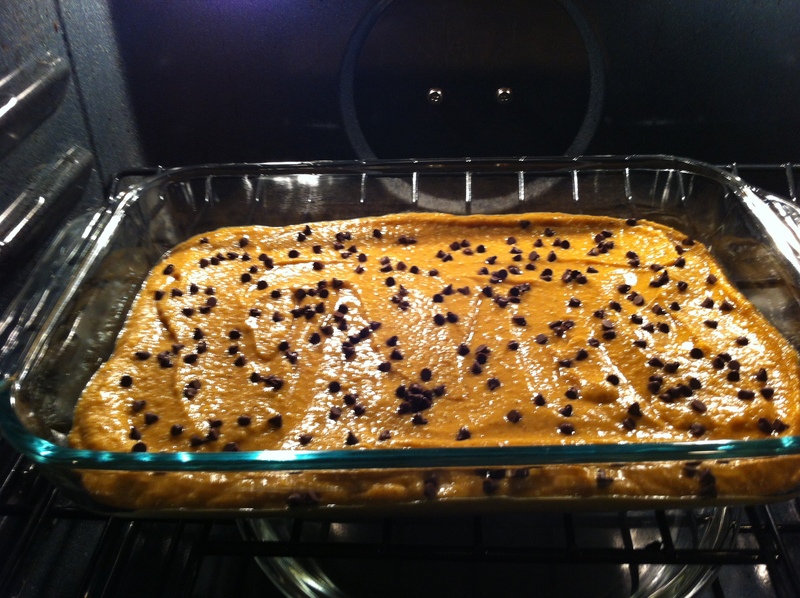 Sweet potatoes add such a fine taste to anything and mixed with almond flour……hmm, hmmm, good. I read your job story and it brought one of mine, to mind. I think, we grow up through some of these horror tales. I am glad, you were able to get out. Sweet potatoes are just amazing in about everything! I hope you like these. I agree, going through these tough times certainly has taught me a lot about myself, who I am, and what I really want in a career. Thank you for stopping by!